I can give them better/worse armour/weapons, of course - but are there any quick and dirty guidelines for changing the base stats (STR/DEX/LOG/WIL/BP/Chance to Hit) on the fly? Submitted by Ascent on Sat, 12/22/2012 - 11:45pm. 10 up, 10 down to STR, DEX and special ability scores, and in some cases 1D or 1D/2 up or down for damage. Also consider increasing or decreasing the number of creatures encountered. Submitted by w00t on Sat, 12/22/2012 - 11:46pm. Look at something that's higher/lower rank and adjust. Young Dragon = chimera minus serpent's tail, fearful roar. Perhaps they can only use a breath weapon a couple times per day? Magical - replace level 3 spellcaster with 1 or 2. 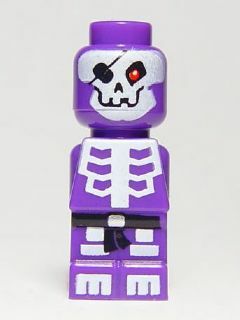 Skeleton General = Troll minus regeneration, stoneskin, LOG/WIL 0. Give him 100% chance to hit? Give him a shield. Are these meant to be solo creatures or a pack? Determine the ability scores and skill levels of your player's characters. Match the creature to these values. Creature abilities like bypass armor, continuous effects with high resistance are good to throw at a party. % to hit - higher the score the more actions they can take in a turn. BP - obviously the more BP the longer the creature will stay alive. DR - higher DR, less weapon damage. For instance a skeleton in full plate would last 1-2 turns longer (or more) against a starting-level-PC. Submitted by Ascent on Sun, 12/23/2012 - 7:32pm. Quick and Dirty is also referred to as a "modular template". Submitted by mikeawmids on Wed, 12/26/2012 - 8:54am. How exactly does the whole Rank system work? Is it like the Pathfinder CR system, where a CR 4 creature is equal to a party of 4x level 4 characters? Submitted by OFTHEHILLPEOPLE on Wed, 12/26/2012 - 3:24pm. I've often wondered about this and monster balancing for the party. Shun the nonbeliever! Shuuuuuuuuuuuuuuuuuuuuuuuuuuuuuuuuuuuuuuun! :P In all seriousness I was a White Wolf player before a D20 player. It's just different strokes for different folks.